Laughter is the best medicine which is best for our health physically and mentally. There are so many peoples who always spend quality times with friends and family to make them laugh. But, cartoon film is the best way to stay sit back on seat and laugh unlimited. Cartoon is the only animated shows that everyone loved to watch. There is no matter, what is your age to see cartoons. There are many cartoon films are available but if we talk about the cartoon characters then some of the cartoon characters are most favorite of all time. Here in this post I am sharing the 10 famous cartoon characters of all time, which will definitely take back you in your old memories. 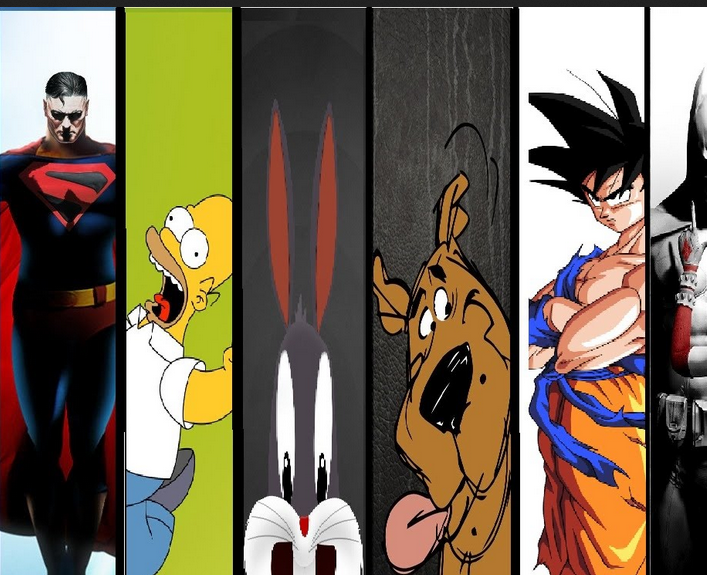 Let’s check out these 10 famous cartoon characters of all time below. Superman is the all time famous cartoon character. It is a fictional superhero that emerged in the American comic book first and then the Superman animated series was released in 1996. Superman is a cartoon character who has many super powers. He can run and fly faster than a bullet. He possesses many extra ordinary powers too fight with enemies. He is famous among all the age of people and still the most favorite cartoon character, no doubt. Mickey Mouse is a famous cartoon character among all. He is a funny animal cartoon and known to be as the mascot of The Walt Disney Company. He is the most popular and recognizable cartoon character in the world with attractive looks. His funny acting always mesmerizes kids and that’s why, he is still famous in the world. Scooby Doo Where Are You!! Yes, he is the most recognizable cartoon character in the world. He is very funny and being liked by everyone especially teenagers. He first appeared in cartoon series in 1969. According to the TV Guide, Scooby Doo was the fifth famous and greatest TV cartoon character of all time in 2013. He is the most demanding cartoon character among all age group of people. Homer Simpson is the cartoon character of the animated series The Simpsons. He was first appeared in 1987 with the series The Tracey Ullman Show Short “Good Night”. His character is very much interesting and got so much recognition in the world. He is all time favorite cartoon character liked by everyone. Spongebob Squarepants is a very interesting and famous American animated cartoon character, who was first appeared in the Nickelodeon series. He is famous among all time cartoon characters because of his acknowledgment and activities. His cartoon series won many awards and still remain in the list of favorite cartoon character of all time among children. Bug Bunny is a famous and very demanding animated cartoon character of Looney Tunes and Merrie Melodies. He is popular among kids because of his brilliant acting. He is famous for his flippant and insouciant personality. Bugs Bunny appeared in various short films and still remains in the memories of everyone. He is the favorite cartoon character of everyone. Eric Cartman is the most favorite and main character of the cartoon animated series South park. He played a role of student in South Park. He is famous for his psychopathic, manipulative and sociopathic behavior as well as intelligent and ability to make a successful business ideas. He is remain the list of famous cartoon character of all time. Patrick Star is another fictional cartoon character of the animated series SpongebBob SquarePants. He was first appeared in Help Wanted in 1999. He is a heavyweight and dimwitted starfish lives under the rock in the underwater. He is famous among kids because of his stupidity which makes people laugh. Daffy Duck is the famous animated cartoon character appeared in Looney Tunes and Merrie Melodies. He is the character who is the best friend of Bugs Bunny. He is a black colored duck has smart and intelligent mind. He is the all time favorite cartoon character for kids. He is on umber 14th in the list of 0 best cartoon characters by TV Guide. Jerry is the most powerful and funny animated cartoon character of the series Tom & Jerry. The Jerry always defeats to with his efforts and good skills. His acting is superb and makes everyone laugh. He is famous among all the age group of people. Tom & Jerry cartoon is the best animated cartoon series of all time. These 10 famous cartoon characters of all time are selected after long term analyze. What do you think, are these cartoon characters are still popular among all or not?